LONDON (Reuters Breakingviews) - Until this week, few were keen to pay for keeping Notre-Dame de Paris safe and sound. The French government did not want to cough up the 150 million euros needed for maintenance, and the Catholic archdiocese had other priorities. Repairs were underway, but the funding was uncertain. LONDON (Reuters Breakingviews) - A total hip replacement is an excellent opportunity to put economic theory to a medical test. As the codeine wore off after my successful operation last week, I pondered the validity of some long-standing economic theories. What follows are four lessons I learned from my three days at The Manor Hospital in Oxford, a small private facility where the UK’s National Health Service sent me for this very common surgery. LONDON (Reuters Breakingviews) - When Goldman Sachs goes on the defensive, someone must be attacking with force. The Wall Street firm just published research that tries to clear up some negative “misperceptions” about corporate share repurchases. For many critics of contemporary capitalism, stock buybacks have become emblematic of a corrupt system. As far as this particular practice goes, the critics have a good case.  LONDON (Reuters Breakingviews) - MMT may be on the road to economic respectability. However, most established economists are still not impressed by so-called modern monetary theory. A to-and-fro debate has erupted between Stephanie Kelton of Stony Brook University, an MMT proponent, and Paul Krugman, a Nobel Prize winner and “conventional Keynesian”. LONDON (Reuters Breakingviews) - Democratic governments are good for justice and bad for the economy, while competitive markets are just a good thing. Or perhaps it is the other way around. The debate on the relationship between electoral politics and rising standards of living is long-standing and has a new urgency. “Democracy and Prosperity: Reinventing Capitalism through a Turbulent Century” persuasively argues that the two are mutually supportive. LONDON (Reuters Breakingviews) - The fact Kraft Heinz's share price has fallen almost one-third since last Friday suggests investors were shocked by its jumbo serving of bad news, which included a dividend cut and a big goodwill writedown. They should not even have been surprised. LONDON (Reuters Breakingviews) - American companies are looking weak when it comes to technological innovation. When it comes to corporate earnings, however, it’s a whole different story. LONDON (Reuters Breakingviews) - The giants of the internet cannot regulate themselves. They need some help. The problems are numerous, and not entirely recent. The extensive market power and possibly unfair competition practiced by the likes of Alphabet’s Google, Facebook and to some extent Amazon are basically new twists on familiar antitrust questions. But the issues raised by big data are quite new. Information about tastes and opinions has been gathered, sold, used and misused without any clear decisions about what is fair, right or helpful. Algorithms that bring the most action from customers often also bring them to extreme views and devious propaganda. Anonymous accounts spread lies and hate quickly, widely and unaccountably. There are tiny signs that the companies have woken up to the problem. For example, Google’s YouTube subsidiary has promised to “begin reducing recommendations of borderline content”. However, the industry leaders are just fiddling with the edges of a broken system. The companies cannot be expected to heal themselves. For one thing, many corporate cultures started out wrong. Amazon’s early enthusiasm for not collecting sales tax was hardly designed for promoting the common good. Facebook’s founding ethos of “move fast and break things” is not an approach that discourages bad behaviour. Even if cultures change, there is a more basic problem. Internet virtue will always be much less profitable than appealing to moral weakness. Human nature being what it is, impartial news, respectful use of data and cleaned-up streams of content just do not bring in as much money as rage, misinformation, exploitation, titillation and manipulation. It is not realistic to expect managers and shareholders of profit-seeking companies to embrace corporate self-harm. Regulation is really the only way forward, as Breakingviews’ Jennifer Saba and Robert Cyran pointed out last week. This requires new thinking, because big data and social media are historical novelties. There are some relevant precedents in the broadcasting industry, but no current regulators are really up to the job. The first step to creating these watchdogs is to establish basic goals and principles. Here are four suggestions for getting the web to serve and unite, rather than to exploit and divide. First, recognise that the use of the internet is a privilege, not a right. The permission to use the physical, cultural and monetary infrastructure of cyberspace comes with the responsibility of using it to benefit the community which provides it. Everyone has obligations, from gargantuan Facebook down to political campaign operatives and Twitter hate-spewers. Second, neutrality is inadequate. The big companies collect so much information about people’s private lives and have such great influence over their judgement and emotions that a simple hands-off approach amounts to neglect. Google’s old “Don’t be evil” slogan needs to be replaced with something more like “Be good, even if that’s expensive”. In other words, the internet licence comes with something like what lawyers call an active duty of care. Facebook, Google and the rest must try to ward off antisocial behaviour, and stop it quickly when they fail. Of course, defining community standards will be hugely controversial. One country’s irresponsibly incendiary political expression is another’s sacred freedom of speech. However, mainstream journalism and traditional broadcasting managed to build a consensus on what was acceptable in most countries. That might be harder now, but governments and companies have hardly even tried. Third, internet mass data is very different from old-fashioned information. Until a decade ago no politician, merchant or con man had anything like the ability of today’s big companies and their customers to put together many little pieces of data to lead and mislead people. This skill is often used helpfully, but data mining inevitably gives the big operators and their chosen customers a potentially harmful degree of commercial power and political influence. Customer consent to selling data is not enough, since the average user cannot be expected to understand the power of propaganda. Regulators who can see the big picture will have to set limits. Finally, digital platforms have an obligation to upholding news standards. It is wrong for operators to help spread fake news and conspiracy theories. It is right to provide ample, accurate and fairly presented information. To do that, internet companies will probably have to dedicate a significant portion of their cash flows to the support of journalism, solid debates on current issues and even the unprofitable parts of the arts. The big internet companies are likely to resist these principles. They have a point, from their current perspective. Truly living up to the privilege of using the internet will be truly bad for their bottom lines. Restrictions on manipulation and on the promotion of antisocial ideas and practices would restrict revenues. Serious money will be required to pay people to set standards, patrol the net and expel miscreants. And public service information does not come for free. These restrictions and obligations would slow the pace of internet innovation. But after two decades of breakneck change, this psychologically and culturally powerful technology would gain from slowing down. The interests of speed, and of shareholders, should come well behind those of society.